Asus and Dell have started the race towards Skylake ultrabook supremacy by revealing CPU updates for some of the most popular models out there. First reported by Notebook Italia, revamped versions of the Asus Zenbook UX303UB and Dell XPS 13 have started cropping up on retail sites across the continent offering Intel's sixth generation Skylake CPU. The Zenbook UX303UB is an update to the ultrabook released last year and is expected to have a spec list similar to the original that includes an Nvidia GeForce GPU, Quad HD+ touchscreen display and of course an upgraded Intel Core i7-6500U chip. 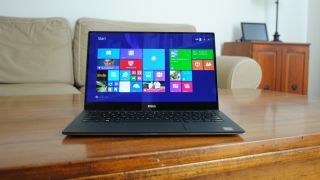 On Dell's side of the market, the XPS 13 should have the same Intel Core chip, Dell's popular infinity display, 8GB of RAM, a 256GB SSD, and a quad HD touchscreen option like above that gives it an edge against Apple's MacBook Air. Skylake was unveiled at the annual intel Developer Forum earlier this month after a frenetic build-up that has gathered pace considerably in recent weeks. The new 14nm architecture pushes the envelope when it comes to speed and, at the same IDF 2015 gathering, it broke seven world records by achieving speeds of 6.8GHz quad-core with DDR4 data-reading at 4,795MT per second and a base clock rate of 552 MHz. Pricing for the two new laptops has yet to be revealed by Asus and Dell but you can expect the Dell XPS 13 to start at $799 (£520, AU$980) and the Zenbook UX303 to have a price point of $699 (£649, AU$902).